It was a surreal moment as I teetered on the edge of a hillside, narrowly avoiding the sheer drop into the deep Balinese jungle, while attempting the infamous downward-facing dog pose with cicadas screeching above me and a serene Yogi master repeatedly whispering in my ear, “smiiiiile to your body, tell yourself ‘I love my booooody. '” As beads of sweat teetered down my brow, I knew my body would not be loving me back in the morning. As we moved into the tree position, a spider began crawling towards my ear. Sneakily, I tried to squash it. “If an animal is upon you, smiiiiile at it and tell it ‘I loooove you as much as I loooove my booody. '” I couldn’t control myself, and let me assure you that hysterics during the ‘happy baby pose’ are not flattering (Google it!). The Balinese are without doubt the happiest people I have ever met; they celebrate everything through rain and shine and from birth to death. 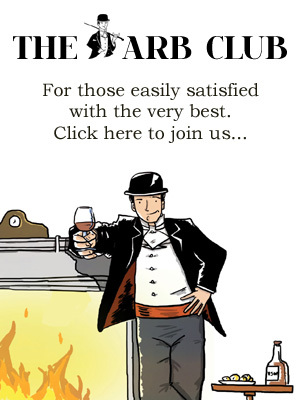 The contentment and happiness certainly rubbed off on me during my time in the cultural capital of Ubud, but then I was staying at the area’s most luxurious residence, Amandari. 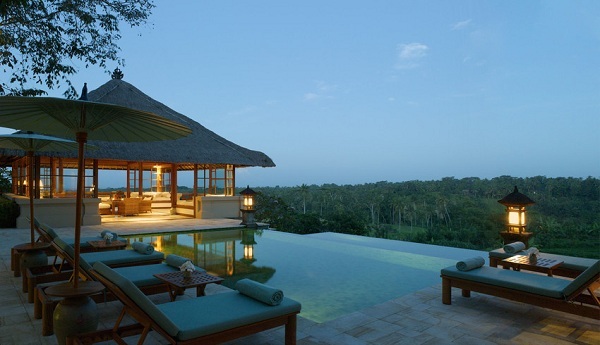 The flagship Aman resort is located in Ubud’s neighbouring village of Kedewatan. Waking up to panoramic views of the breathtaking Ayung Valley and my own private pool…how could I not be happy!? As with all Aman properties, the five-star resort blends into its environment, seamlessly reflecting the local culture and landscape perfectly, and is a world away from the hectic tourist town of Kuta in the south (where I dashed for my camera upon seeing children begging under a billboard advert for Burger King’s ‘Prosperity Burger’). Lots of hotels around the world tick all the boxes as far as facilities, views and service are concerned, but it is rare to find a hotel with real character, a hotel you cannot imagine being anywhere other than there. And this is one of them. 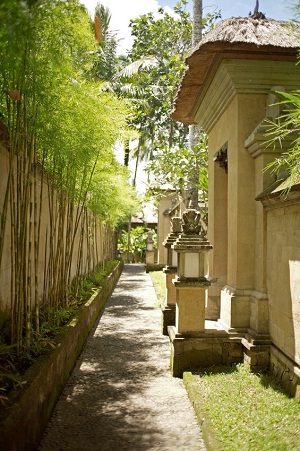 Just 10 minutes’ drive away is Ubud town centre, a hectic hotbed of creativity and the arts. In Bali, different communities have different skills: Sukawati is famous for its handmade beads, Batubulan for its intricate stone carving, Mas for its wood carving and Celuk for its community of gold and silversmiths. Ubud is the town where all of these skills converge in an explosion of colourful market stalls and galleries. The central market is overflowing with batik fabrics and hand-carved furniture and, of course, a temple or two. After a morning’s heavy haggling, we headed to the jungle to explore the Ayung Valley. Hidden behind the hotel’s infinity pool lies a sacred path into the jungle. Twice a year hundreds of locals walk this route down to a pool believed to be full of holy water. Just a stroll from the hotel and we were surrounded by trees bearing everything from coffee beans and cocoa to coconuts and papaya (plus the odd rabid dog for good measure). At the bottom of most fields would be a shrine, stuffed with offerings from the local community thanking the gods for a healthy harvest. Ironically, amidst the tranquillity it is possible to arrange a morning of white water rafting down the Ayung River, but we decided on the more civilised itinerary of a jungle trek finishing with breakfast at the ‘bale over the gorge’, a bamboo shelter overlooking the resplendent valley in all its glory. After such a strenuous morning a little pampering was called for and, as a spa trekker, I couldn’t resist a day trip to Tembok, in the un-touristic Northern part of the island. Located on a volcanic beach with sand the colour of ash, the hotel is a popular retreat destination offering a huge number of locally inspired treatments under the watchful eye of the volcano, or a night under the stars with their dreamy evening beach massage! 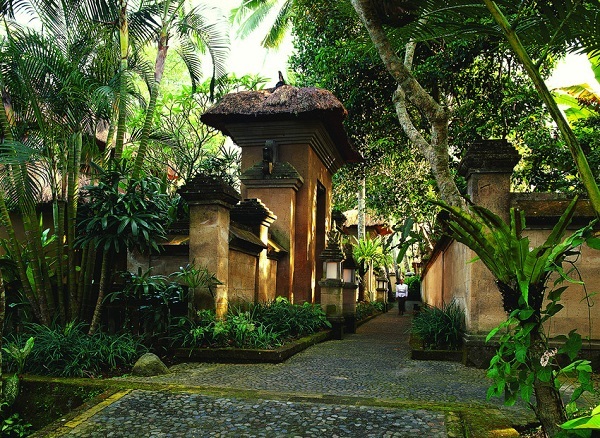 The two-hour drive takes you from the sunny jungle landscape of Ubud to the black sands of Tembok via miles of lush rice paddies and the rain clouds enveloping the mountain roads – a perplexing experience when combined with jet lag, and one best relinquished with a massage. Evenings at Amandari are often filled with cultural experiences and our visit was no exception, as four elegant young Balinese school girls arrived to give us an intimate performance of their traditional dance. Elaborately dressed in gold head temples and rich silk costumes, they slowly but precisely performed for us to the background sound of the gamelan chiming. The perfect end to a perfect day. Woken at the crack of dawn by the prized village cockerels preparing for battle and the white noise of cicadas warming up for the day ahead, I decided to bid farewell to Bali with a leisurely soak in my outdoor bath. As I reclined in the warm bubbles, staring at the sunrise, listening to the sounds of the jungle and sipping my coffee, I looked around contentedly at the bevy of voyeuristic insects descending upon me. Far from my normal impulse to drown them, I heard the Yogi in my head and smiled. “I love yoooou as much as I love my booooody.” Hmm, this Hindu Buddhist lark wasn’t so bad after all.